It's raining in Northern CA and snow! Thank God, Praise the Lord!!! 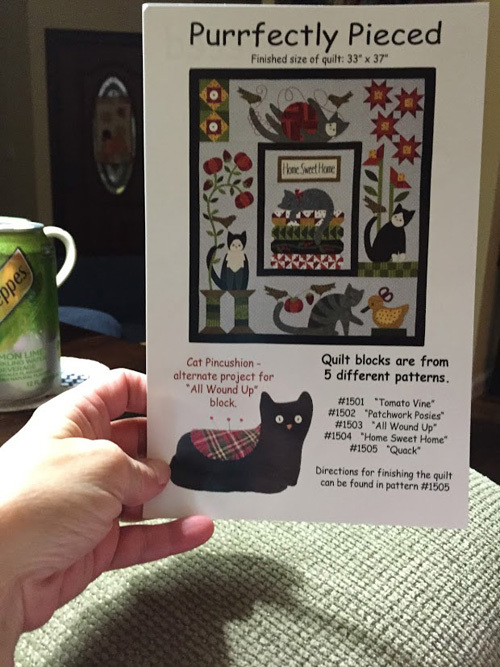 Photos of my Purrfectly Pieced BOM Block #2. Will get started on this hopefully Friday. Now of course this pillow needs to be completed. But here is the top. Love it. This is my block #3, I will get this started on Friday. I need to keep up with these through the holidays. I don't want to get behind. 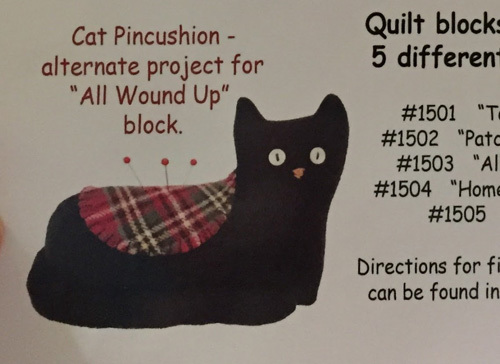 The kitty Block #3 came with a Bonus Cat Pincushion..so sweet! Mom is doing better, and Steve goes back to work Thursday after his knee surgery. We are getting ready for the Thanksgiving and Christmas. My shopping is done. I don't like the Christmas crowds. Be sure to check out my camping trip photos in previous post! Wonderful lighthouse photos and Redwoods in California. Have a wonderful Tuesday. God Bless! Good to hear your mom and Steve are doing well. Lovely quilt. Just so cute. I hope everyone is doing well now. Your blog looks so festive and I really like the old fashioned header.